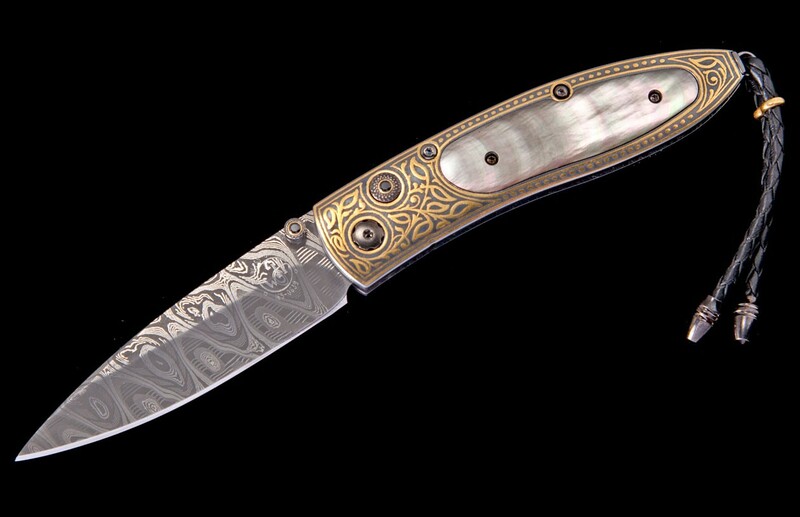 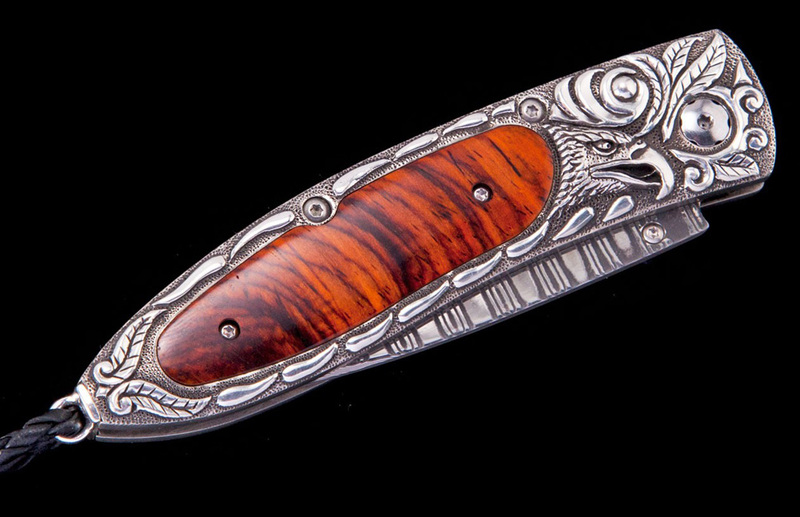 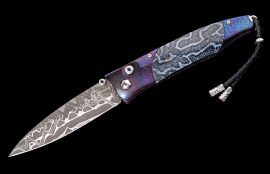 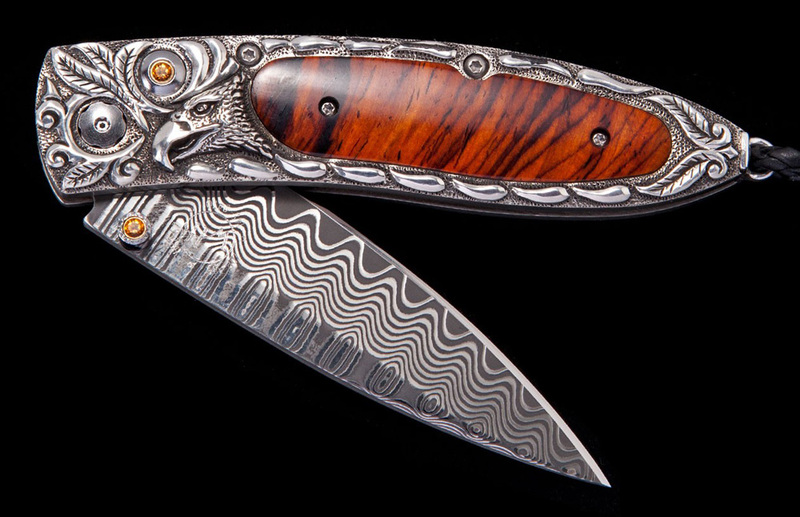 The Monarch ‘Sovereign’ features a beautiful bolster in hand-carved Sterling silver, inlaid with stunning Cocobolo wood; the blade is ‘Wave’ damascus with a super strong ZDP189 core; the one-hand button lock and the thumb stud are set with citrine. 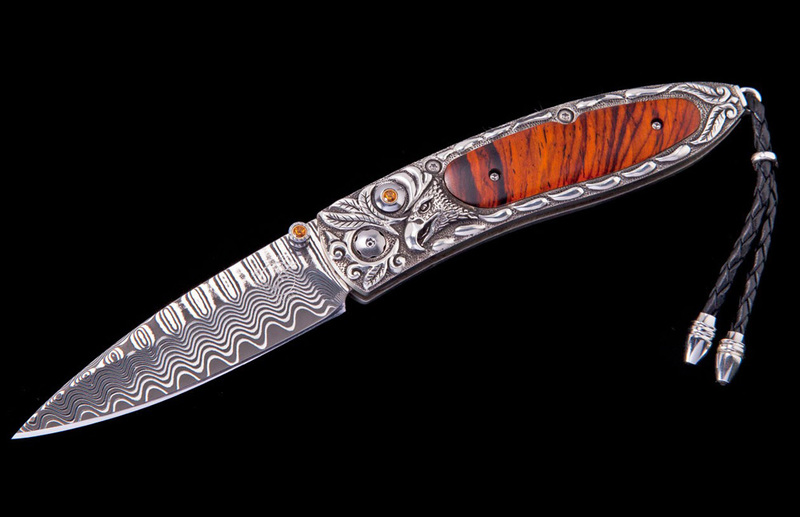 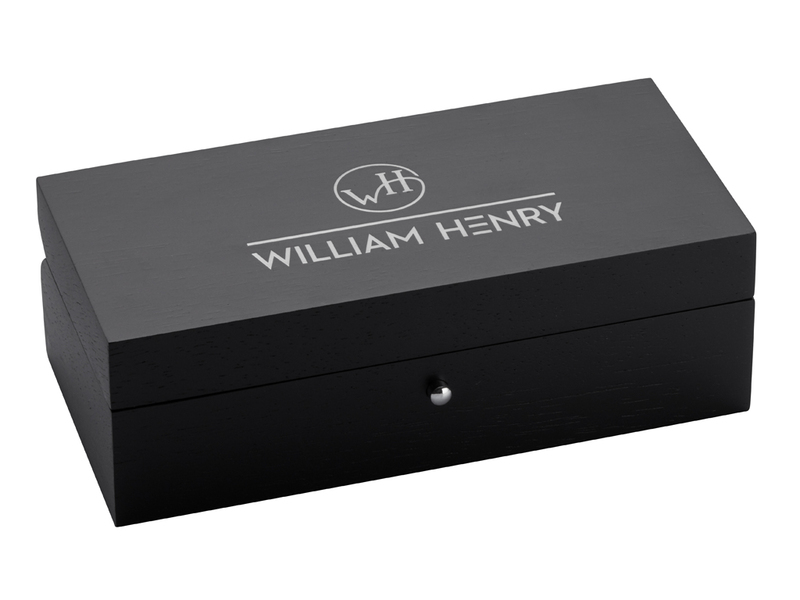 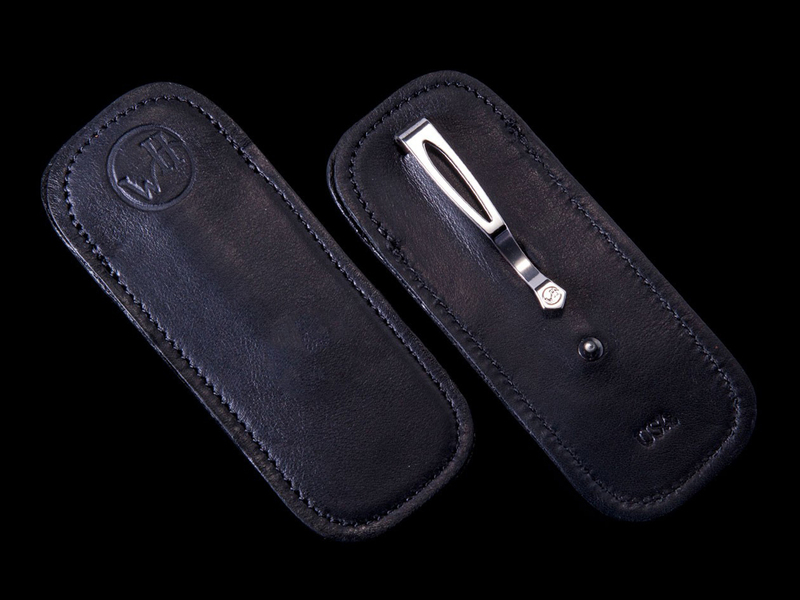 The Monarch is a simple design that is easy on the eye and effortless in the hand; the elegant shape of the handle on this design is also an ideal canvas to showcase our exotic materials. 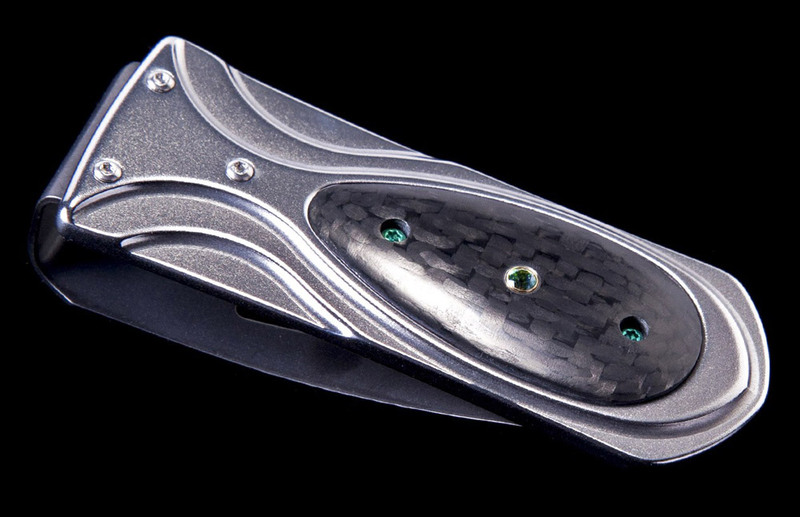 The ‘Sovereign’ is the beautiful balance between elegance, function, modern and exotic materials.